I can tell you about the passengers! The man was my father and the lady was a driving instructor. 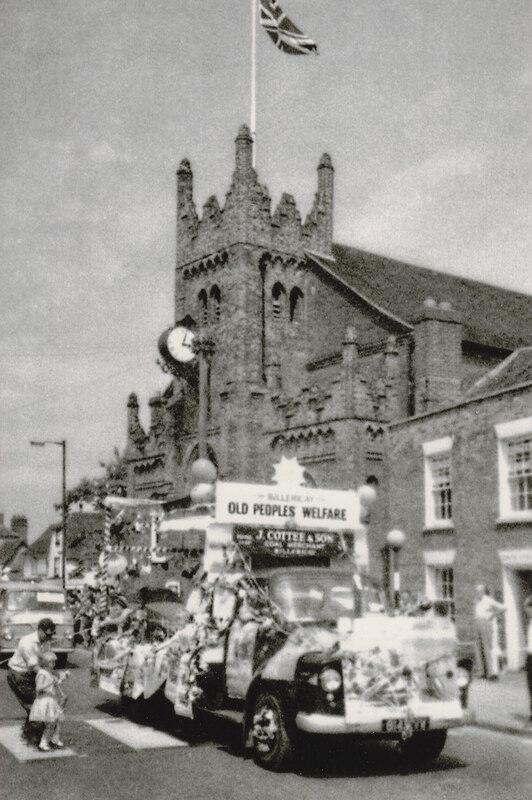 They were advertising the Outwood Common Motoring Club They dressed up as a cowboy and cowgirl – but I have no idea why!! 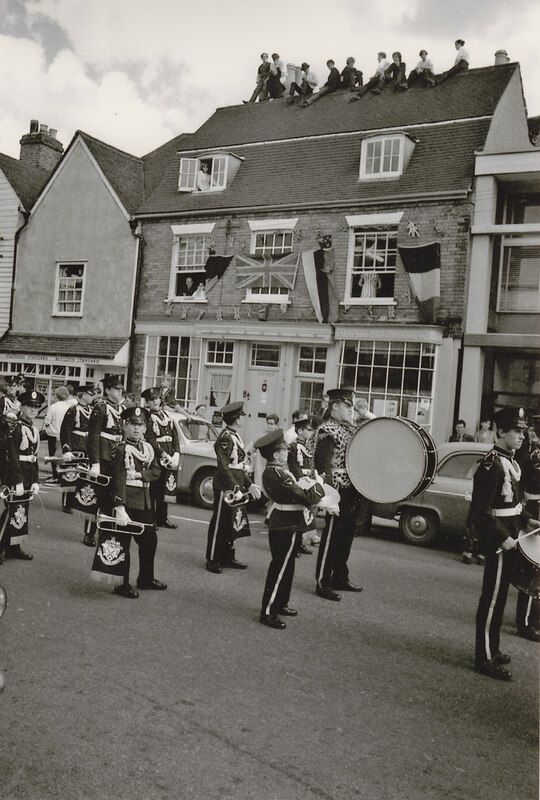 No, not the Billericay Silver Band which was a traditional silver/brass band (I played in the band in the 60s). The band pictured is a drum and bugel band. Not a lot to say about this familiar view. 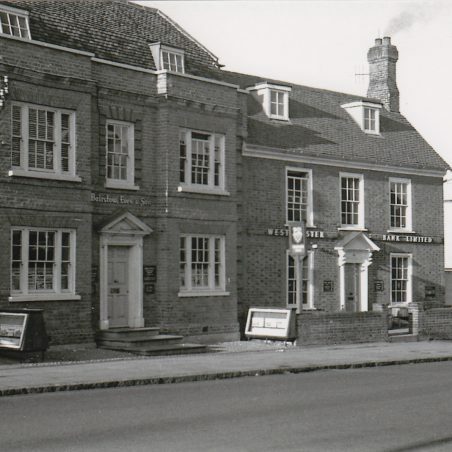 The Chequers then part of the Ind Coope chain. My father rather irreverently referred to it as Ind Coope and all slops!!! What was the purpose of the traffic Island? Was it the brewers staking their claim to their forecourt and its useful parking or was it a Highways Authority idea and why was it removed? Could it be that the angle of approach to Chapel Street then form a hazard for the overhanging story? Opinions sought. Ye olde Chantry Cafe as I first knew it. Run by who I thought to be two old ladies at the time but now I view it from old-age maybe maybe they were not so old!!! They did a splendid job. Excellent Roast Beef and all the trimmings for half a crown in real sterling. If that does not seem right I will allow 3/6d but no more. Eighteen pence in todays decimal coin. 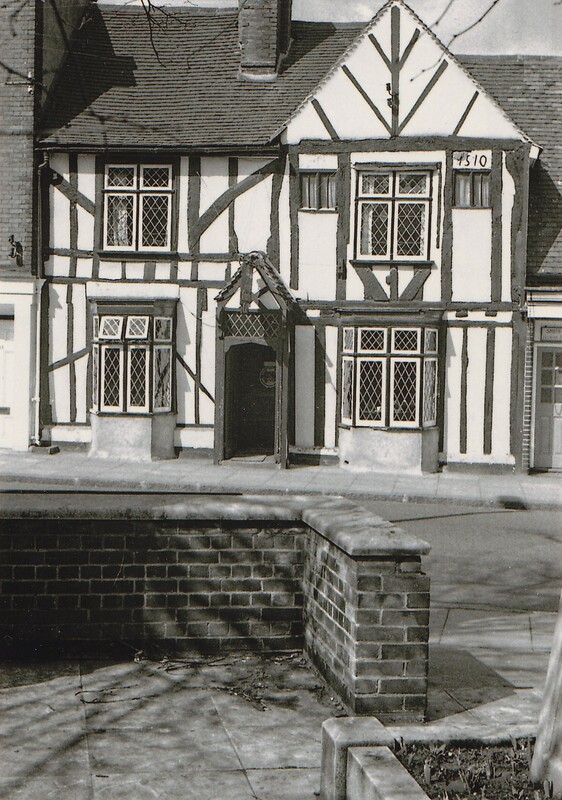 Various authorities date it to early 16th century but whether the date of 1510 as seen in this 1960s image is accurate or whether the date currently seen (1501) is a matter for conjecture:maybe neither. Hearsay has it to be the home of Christopher Martin the convenor of The Mayflower voyage to America. 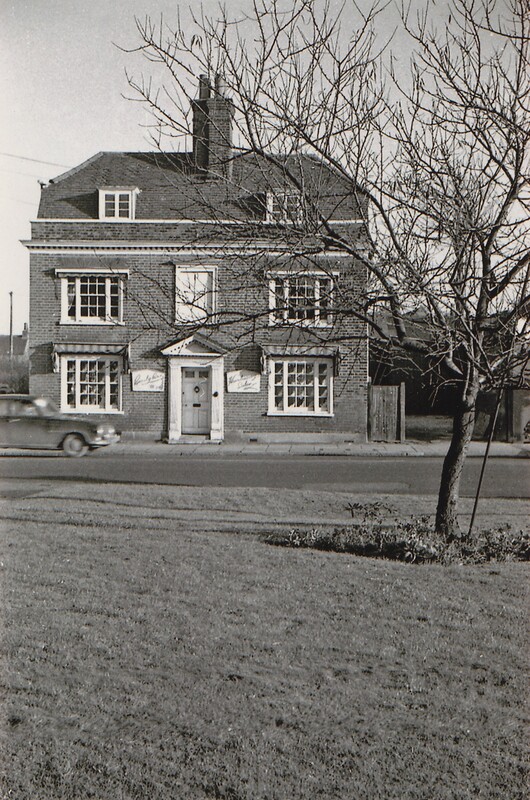 The old King’s Arms at Gt. 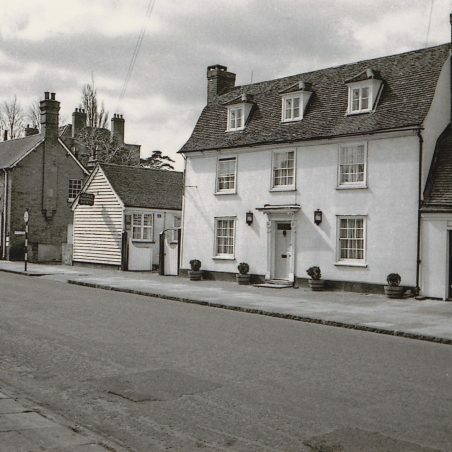 Burstead. 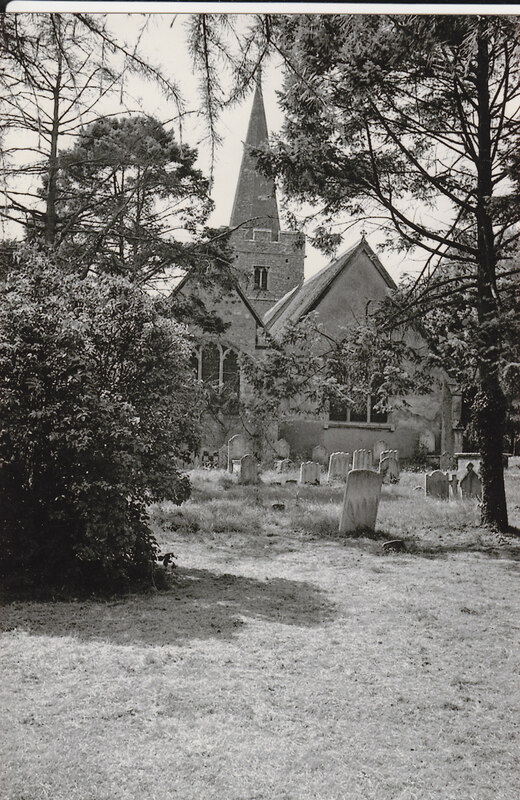 Also known as the Dead Man’s Rattle due to its position adjoining the churchyard. Unless I am mistaken this building is ignored in the current Pevsner. I tried unsuccessfully to buy it in the late seventies or early eighties. 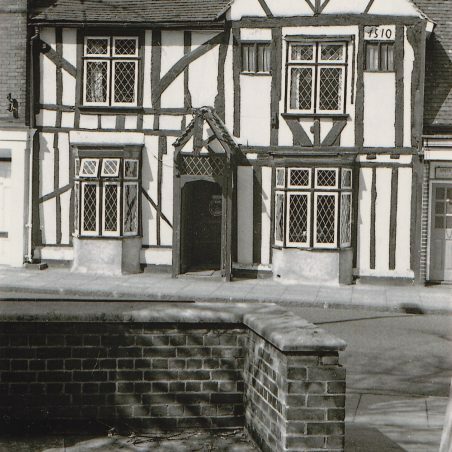 It then contained Tudor brickwork fireplaces, one upstairs I recall, in a state of partial collapse. 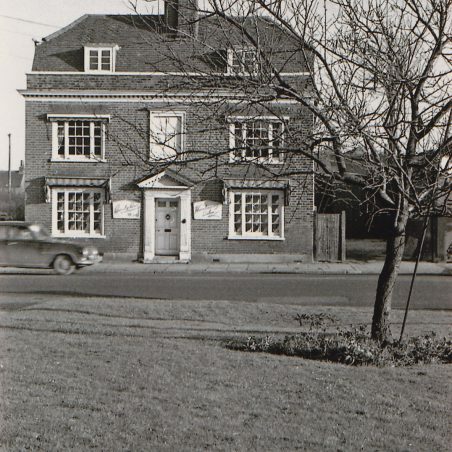 It still housed the old butcher’s shop – just seen through the foliage on the far left. 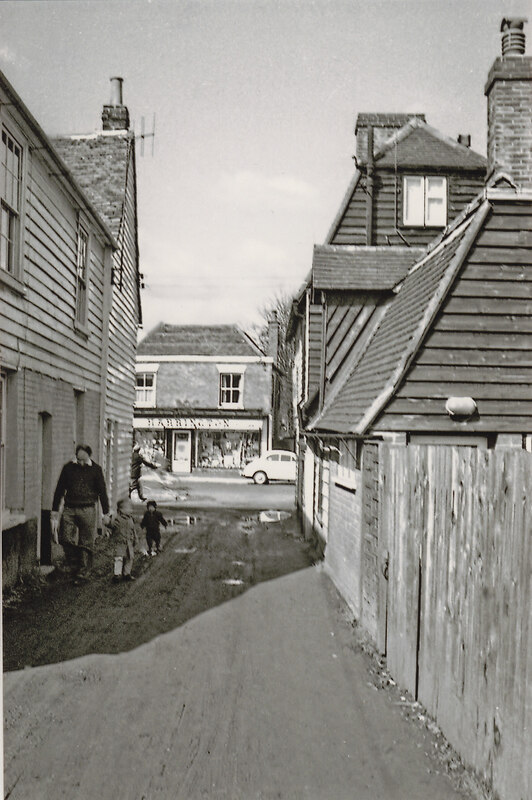 This view taken in the 1970s is identical to Victorian and Edwardian postcards taken from the same spot and also to a very fine pencil drawing of the 1920s in my possession. It has changed now though. It has been urbanised with white lines in the roadway, kerbstones, and pavements. A variety of lamp posts and other poles also intrude upon the scene. 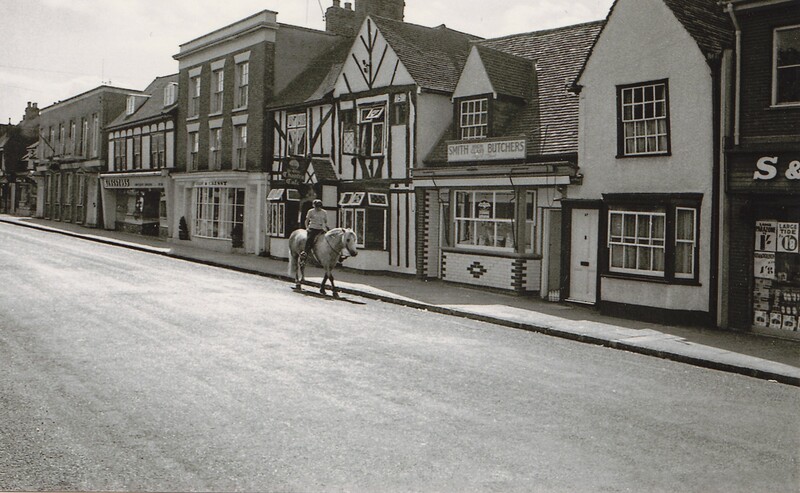 Another High Street view from 1963. That was the last era in which we have car free streets and no white lines. Within five years the masses began to afford motoring. A few changes since this was taken. The single story building nearest the camera now sports a window to the street. The finishing touches were being applied to Frizzell House and the old cottage with the roof extension next door survived a while longer. 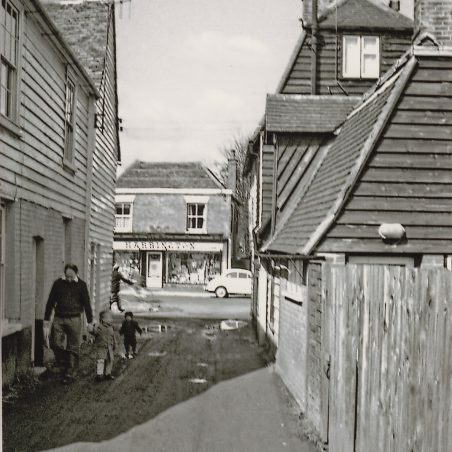 Beyond is the terrace of three Victorian red brick cottages and in the far distance Hensman’s Garage with its row of white globe topped petrol pumps like soldiers on parade. 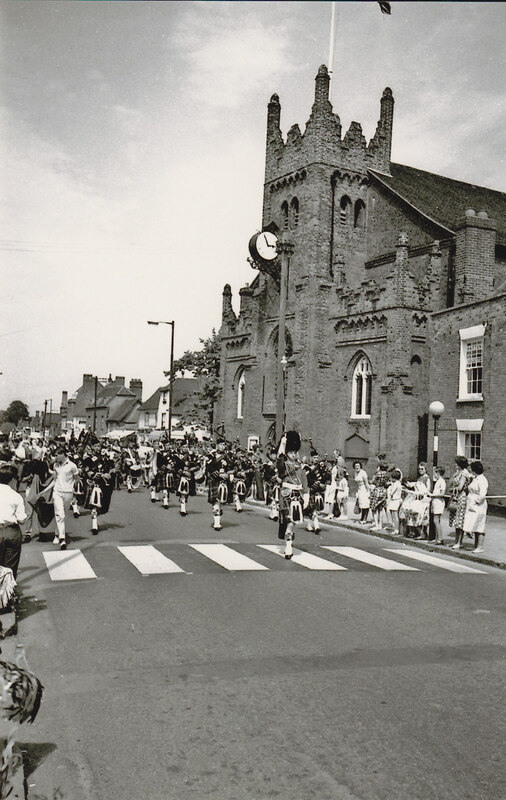 Another early 1970s image of the town carnival. 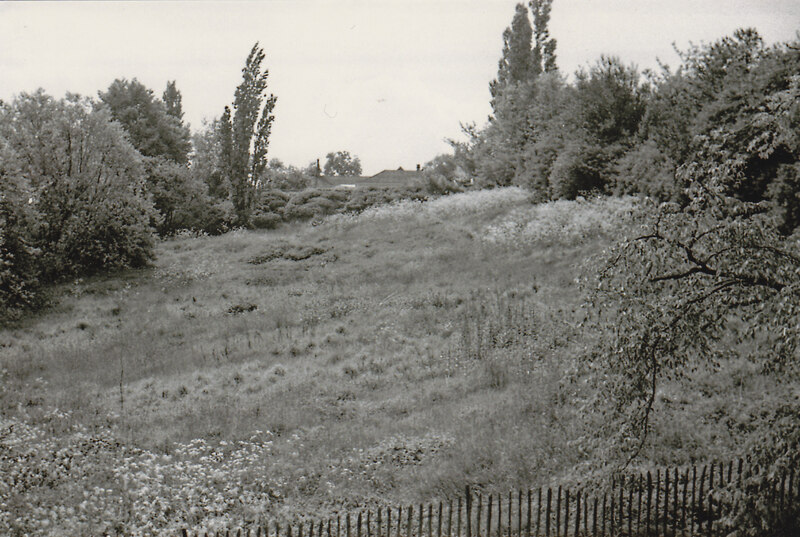 Digitally worked from a 35mm contact print hence poor image. 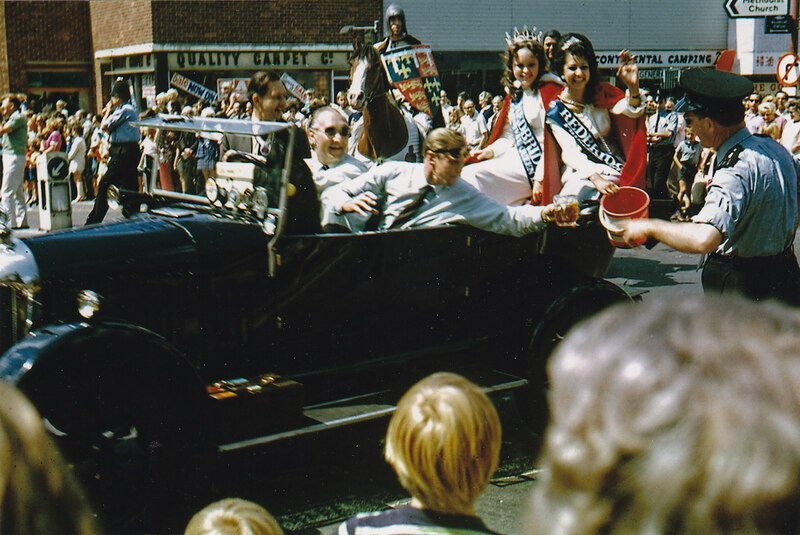 A poor image due to the forty odd year old neg missing. This was digitally reworked from a 35mm contact print. It does however remind us of Cottees Coal Merchants business. 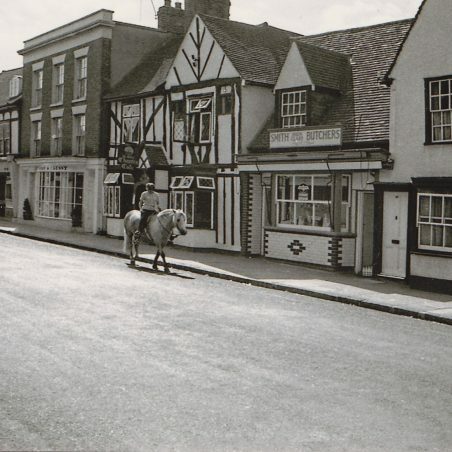 This and other images seen here feature a carless High Street, They will date from 1963 when I first moved to the town. 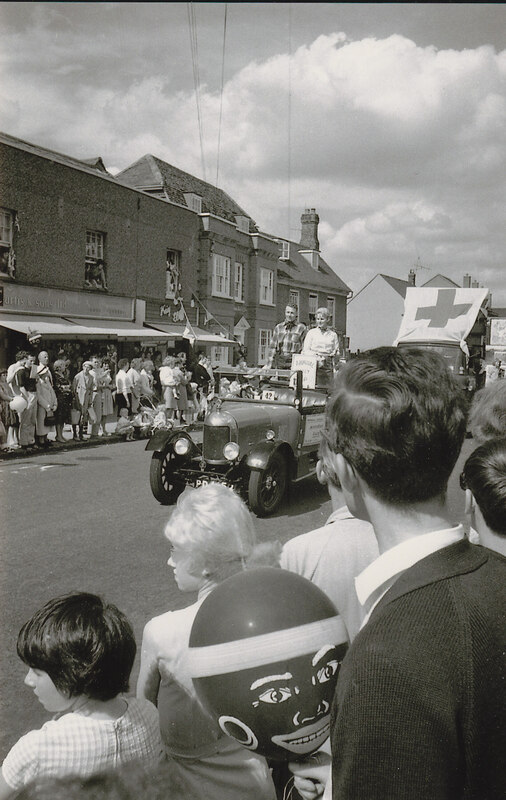 Car ownership in those days was restricted to the doctor, the solicitor and the rich. Even the district nurse probably used a bicycle at that time. It would be five years or more before the masses could afford and aspire to motoring, hence no need for white lines painted on the roadway. 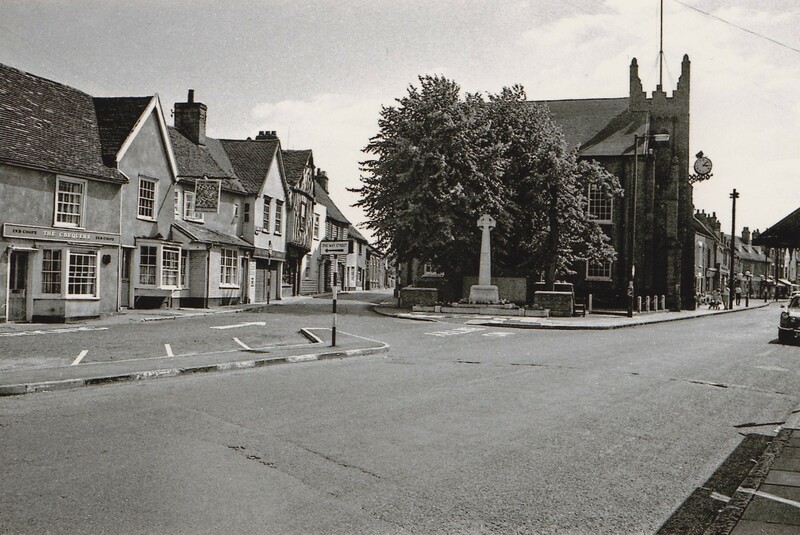 This view has not changed much over a period of almost fifty years since the photo was taken. 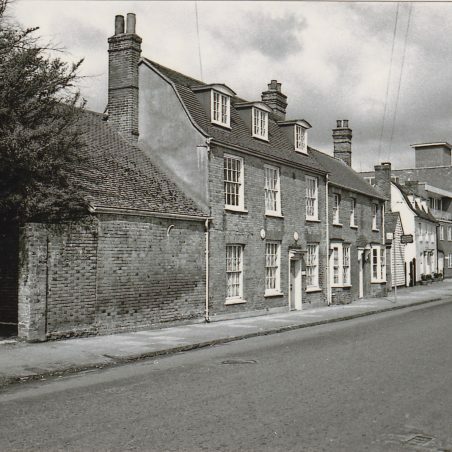 It shews The Shambles on the right and the old Horseshoes buildings on the left with Burghstead Lodge towering above them. 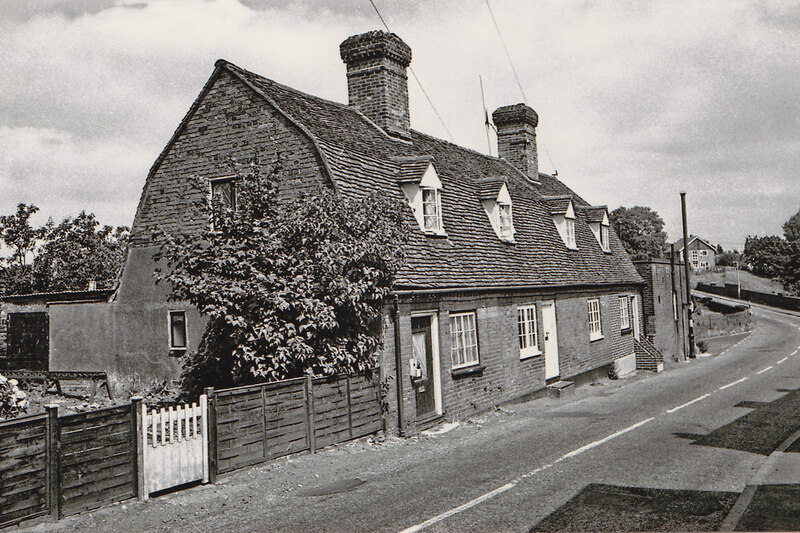 The Shambles outbuilding still retained its original bargeboarded gable end. 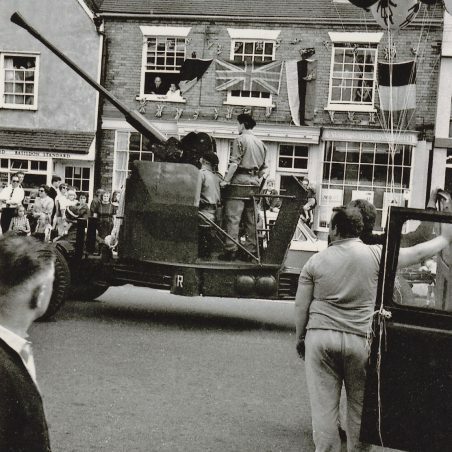 A little bit of left-over pre-war England. 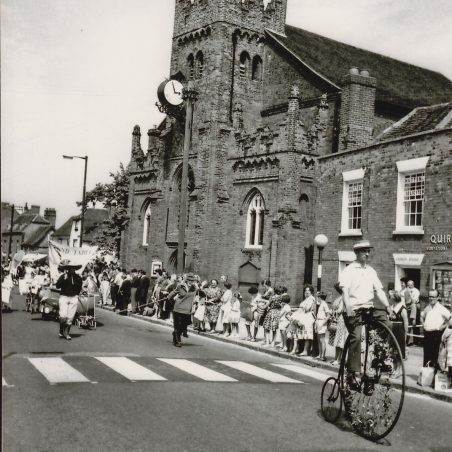 Chantry Chase was unsurfaced. Harrington’s hardware store still dispensed an amazing assortment of useful merchandise. 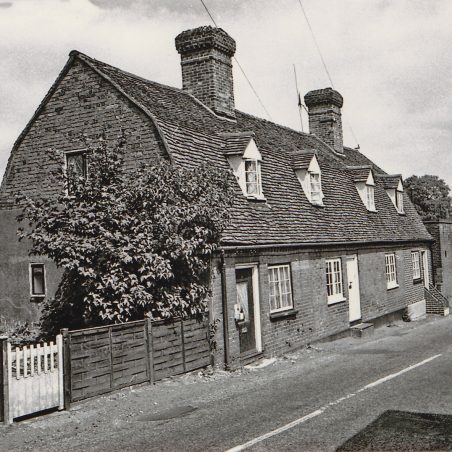 On the left the gable end of The Chequers Inn is typical Essex bargeboarding, a building style exported to the New England states of America by the likes of Billericay’s own pilgrim – Christopher Martin. 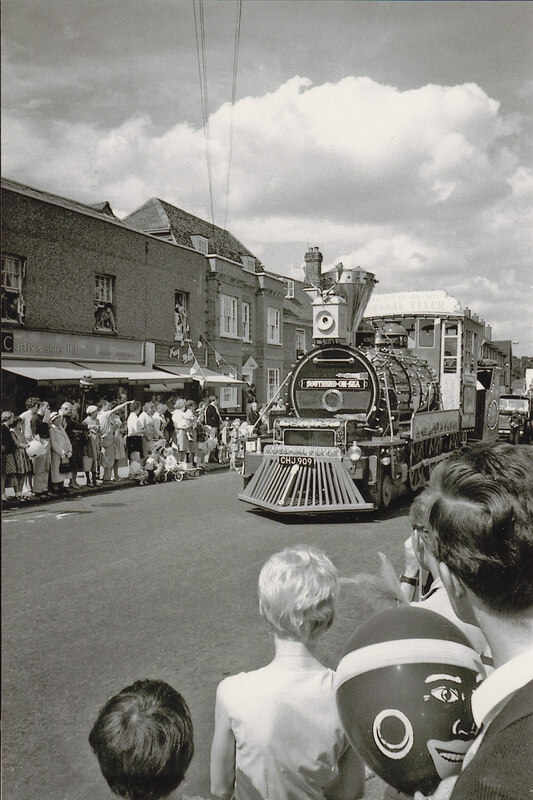 This and other carnival scenes in this archive were all taken in the early 1970s. Notice that the roadway still lacked white lines. In the background we see Curtis & Sons Ltd., shoe fitters and Kay Ellis stores. The latter sold Ladies’ and childrens’ wear as far as I recall. 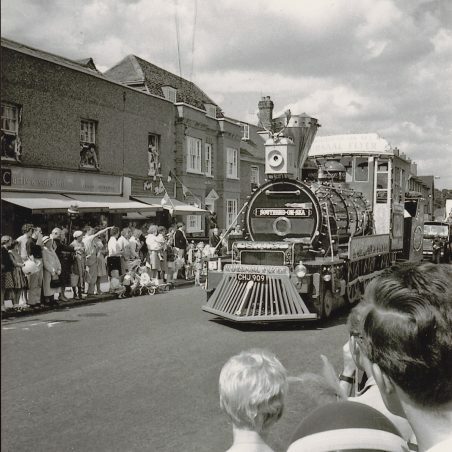 Best of all we see ”The Kursaal Flyer” – an impressive sight. 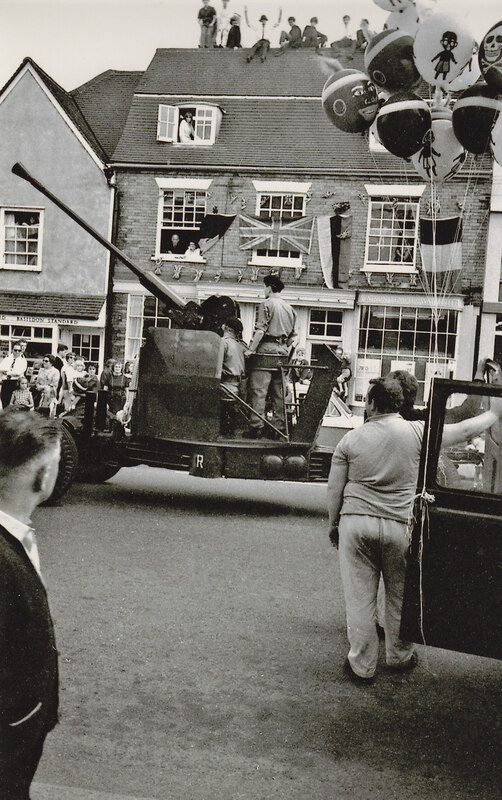 in Billericay High Street. 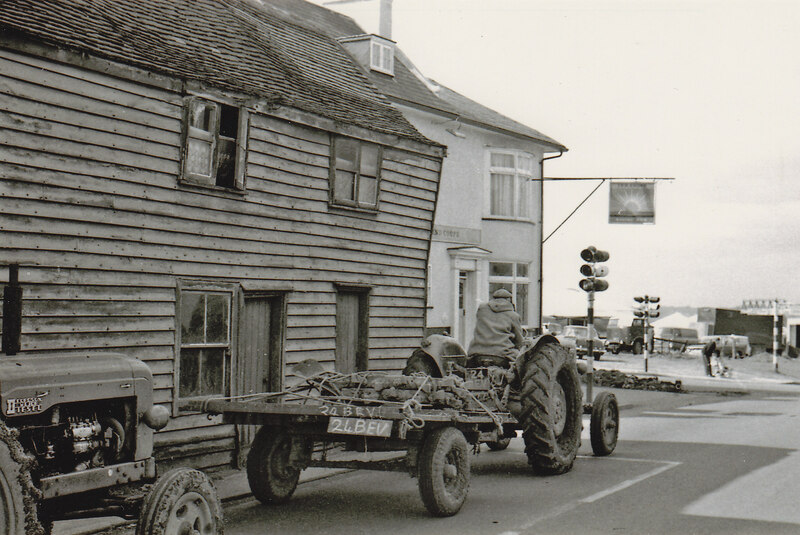 The Bull Nosed Morris in this image is probably the one owned by a Mr Smith of Hart’s Corner Service Station. 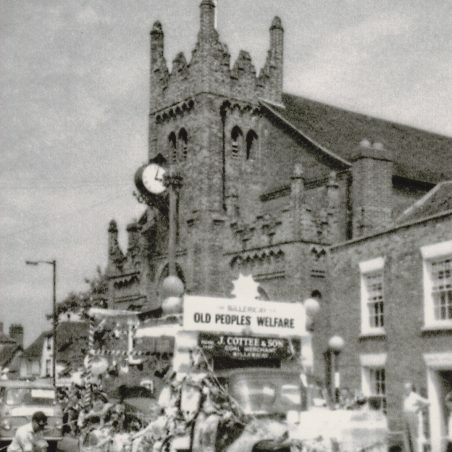 It is advertising the Morris Car Club’s Annual Rally. Who are the passengers? 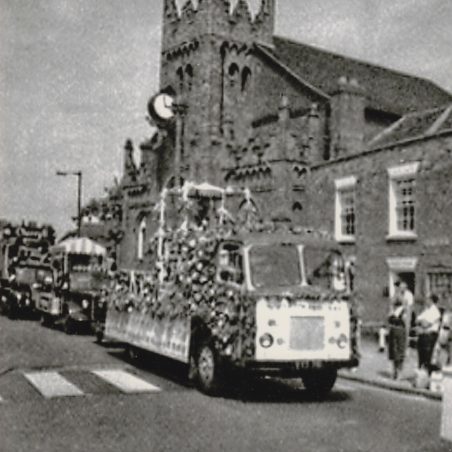 They are followed by the Red Cross float. Beyond them The lorry displays a map of Europe on top of the cab. A travel agent’s entry perhaps? 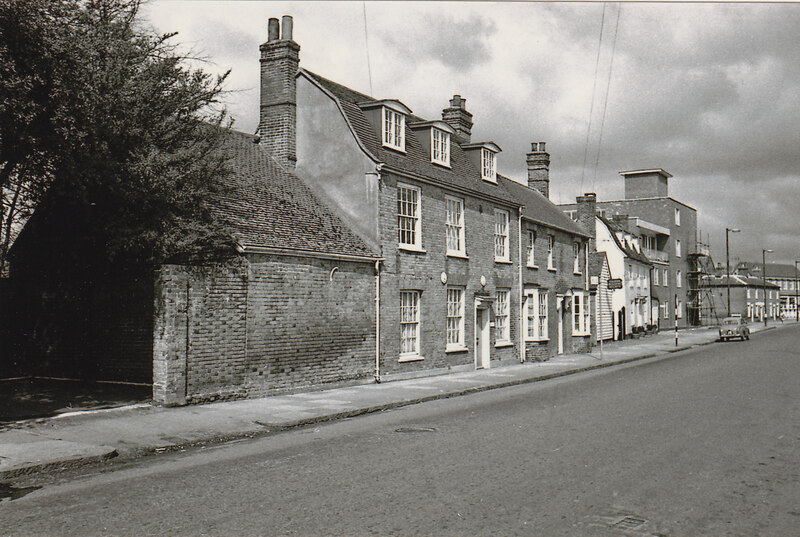 On the left we see the District Nurses house and her Morris Minor parked beside. The 1936 Singer le Mans sports car belonged to the photographer who was also a 1936 model. The old pram shop looks to be in a sorry state of neglect but it was in fact as sound as the day it was built. It needed cosmetic work but the ancient timber frame was perfectly sound. Its demolition was sacrilege. Notice the road sign indicated a left turn into Sun Street. 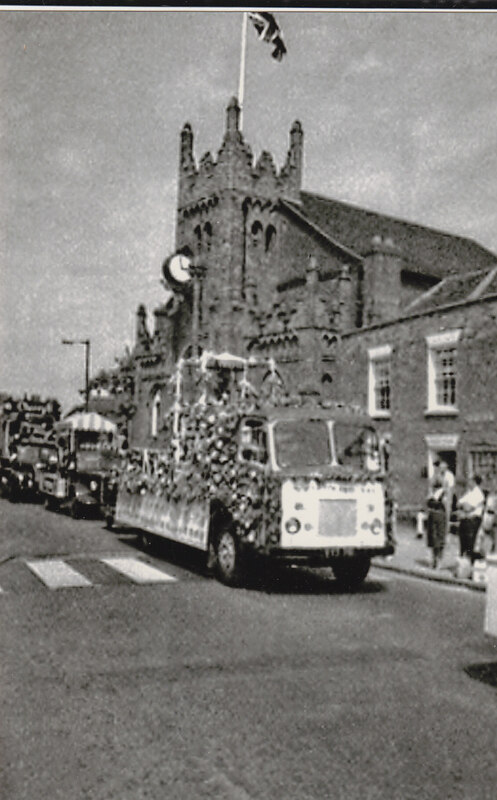 Image dates from 1966. The original Bleak House then occupied by a hairdresser. 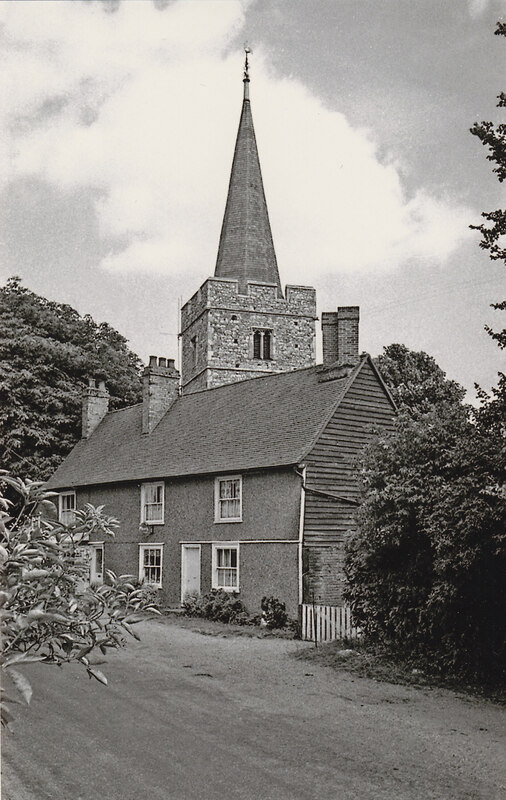 Pevsner mentioned it in his Buildings of Essex, but that did not stop it being pulled down and replaced with the pastiche one sees on the site today. Note too that the old house was well detached. That is not the case today. The Police Station lawn from where the photo was taken looks much better for not being enclosed by railings. 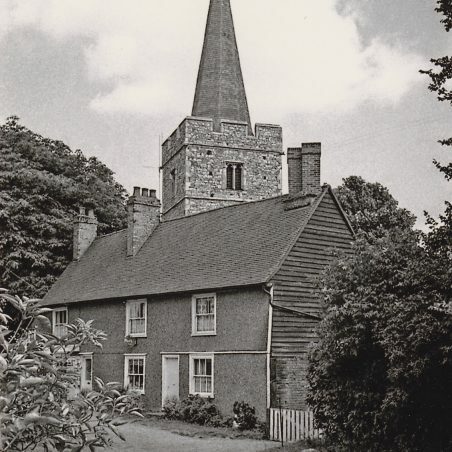 Image c.1963. 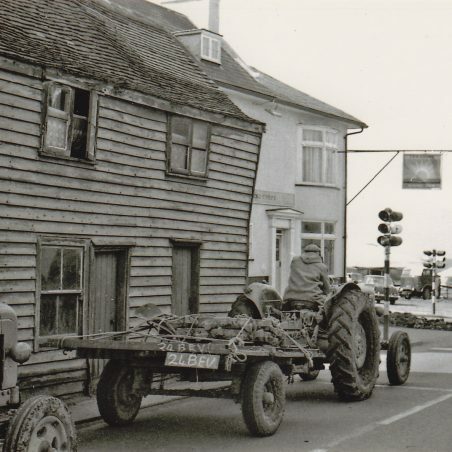 Sun Corner c.1963 A brace of Fordson Tractors are halted outside some old weatherboarded cottages sometimes referred to as Eclipse Cottages for their location between the Rising Sun and an erstwhile beerhouse variously called The Moon or Half Moon..The fair or perhaps circus is setting up on the Town Field. Note too the finger post. Was there any need to remove it? Stands still the clock at five to three and Jasper on his bike we see. 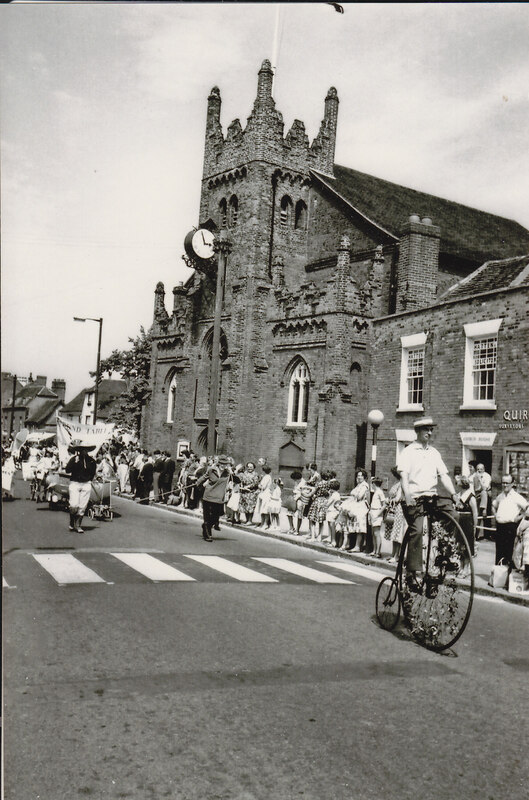 Jasper (Jake) Leyland astride his Victorian high bicycle leads the carnival procession in the early 1970s. Organisers Round Table’s float keeps a safe distance. Quirk’s estate agents occupy Church House and is that old Mr Quirk in the doorway? 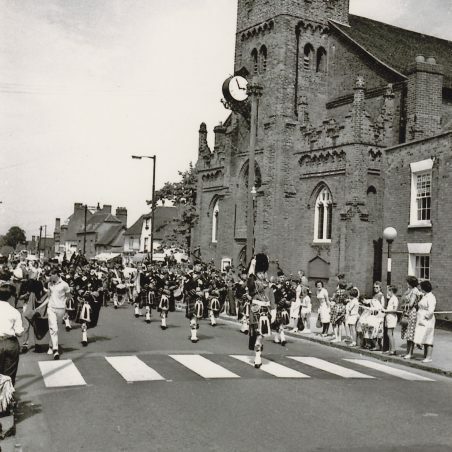 An early 1970s photograph of the town carnival. It is full of interest. The Bull Nosed Morris carries the Carnival Royalty of Redbridge. Behind is a mounted knight in armour. Appropriately a policeman collects coppers!! Of more interest perhaps are the shops in the background. Until printing this transparency recently I had forgotten all about Quality Carpets. 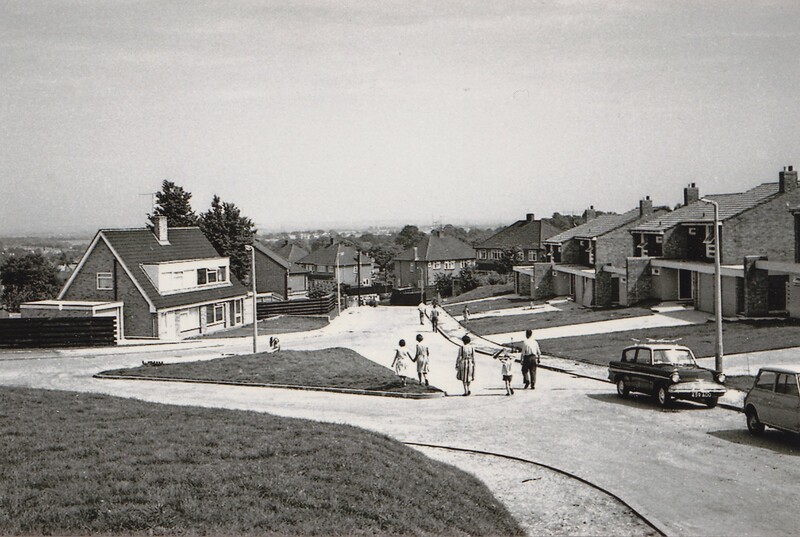 Part of the newly built Cloisters Estate at the top of Chantry Way in 1969. No trees, very few cars even at that date. No light wines as Spooner might have said. A snatched shot as I came from out of Chantry Chase one morning. Who is the equestrian? 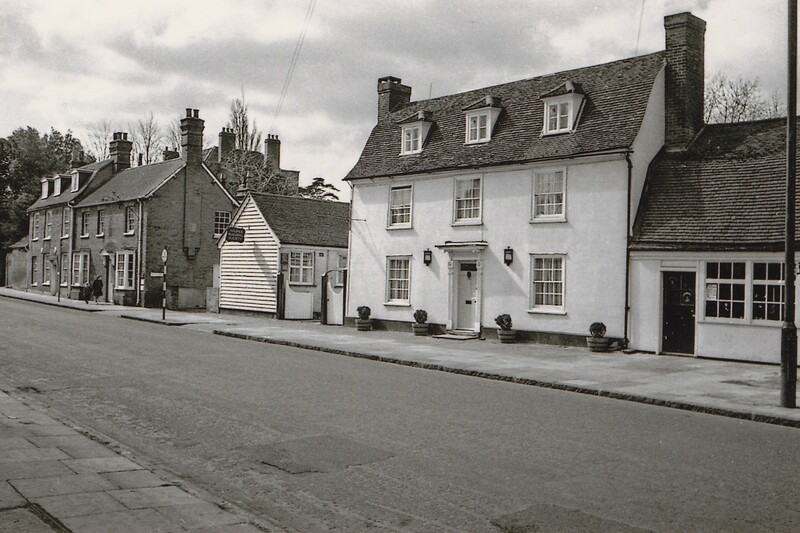 Was the shop on the right (the windows plastered with ads in old money!!) 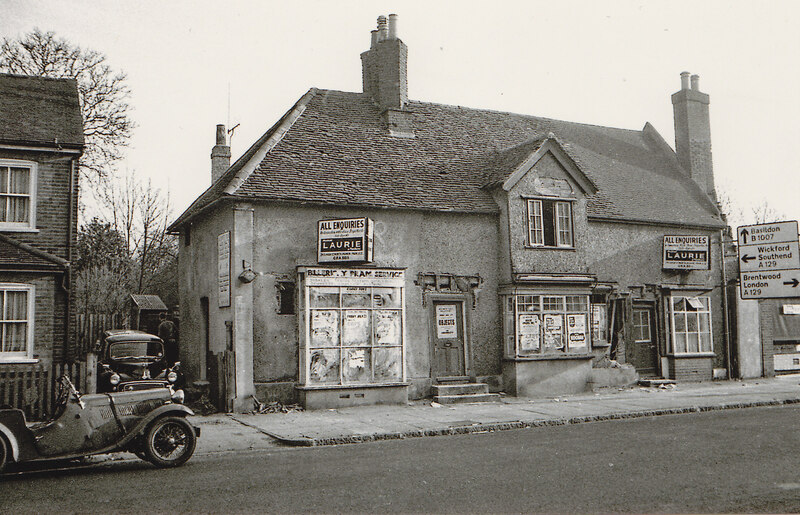 the first self service store in Billericay? On account of its very small size I would not call it a “SUPERmarket.” S&D I think was its full title. The bow fronted off license had a spiral stair in the centre of the floor for access to the cellars. Kay Ellis, Bairstow Eves and The Westminster Bank as it then was before it was amalgamated with The National Provincial Bank to become National Westminster. Next door is a building site after the sad demolition of Hurlocks and prior to the newbuilt shoddy Co-op store. 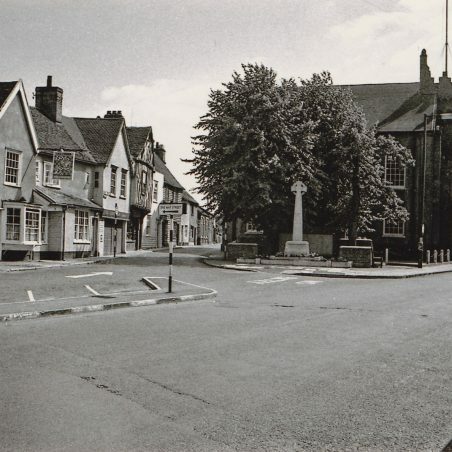 Image c1963. The right hand edge to this field comprised a fine row of Elder trees: resplendant with flowers or berries according to season. Alas the field full of stinging nettles barred access to them. At the top of the picture will be seen the roof of a much admired bungalow in Chapel Street.- Hawkley. 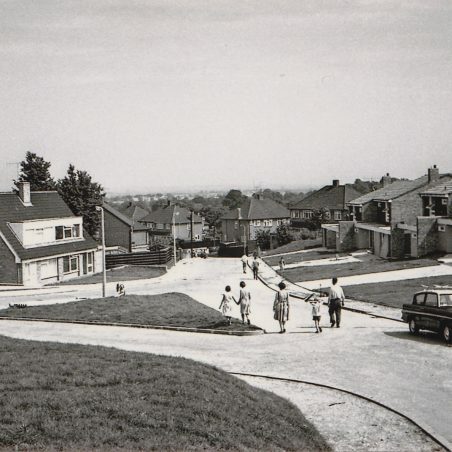 Although very modern it was demolished and replaced with a block of flats: Hawkley Court. 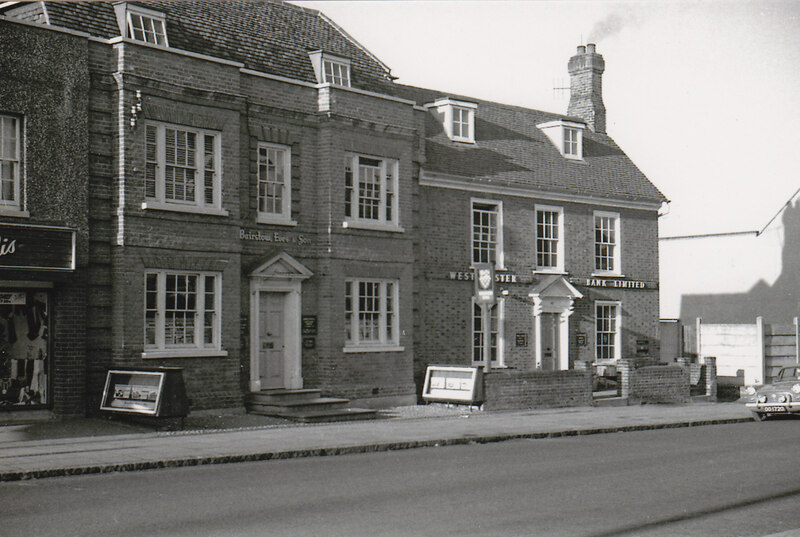 You may just see a glimpse of The Coach and Horses too.. 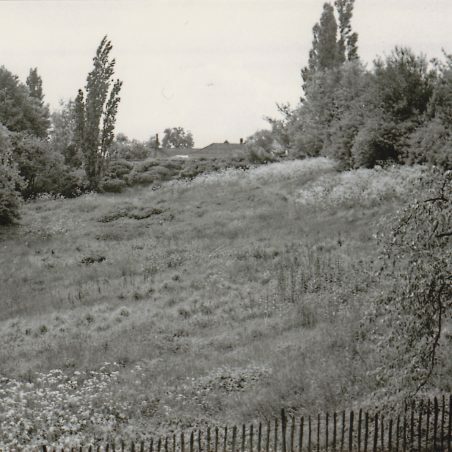 The field contained springs which formed a small stream-one of the infant sources of The River Crouch.. 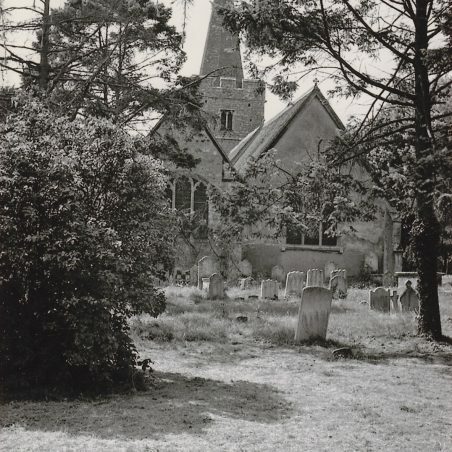 Image c1963. Today it is Chapel Court. 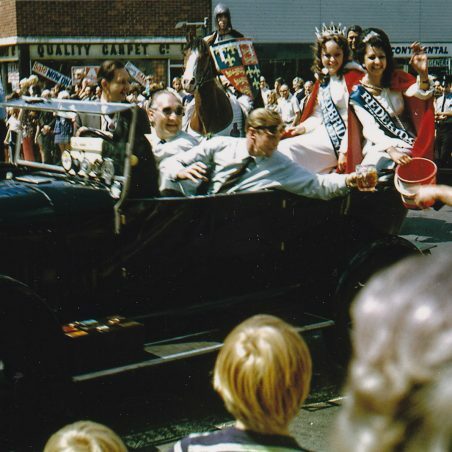 A carnival scene in the early 1970s. 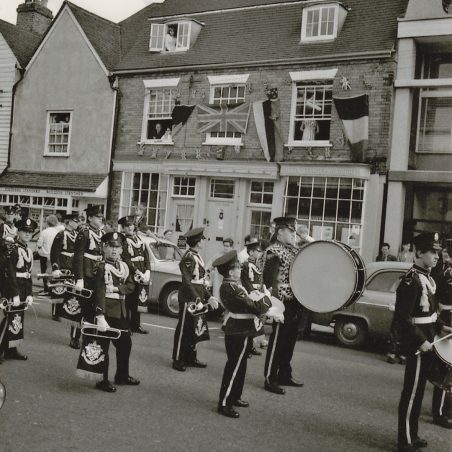 The Bandsmen are variously “Eyes front, eyes right and eyes left.” Was it The Billericay Silver Band? 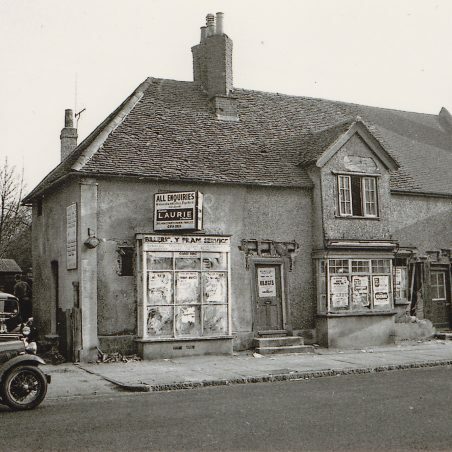 The left hand shop then housed The Southend Standard – Basildon Standard office and the right hand window was Estate Agents Watson Temple and Weymouth. 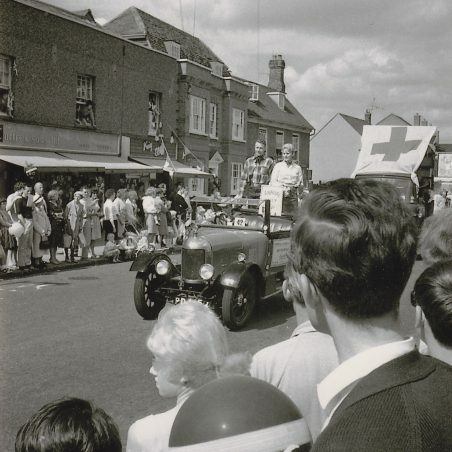 Harry Richman looks from the upstairs window on the left whilst above seated on the dormer sill is Marylin Dutch daughter of the Manager of Hensman’s Garage. Those on the ridge tiles had never heard about Health and Safety laws.